Blackberry devices do have a lot of features. Blackberry smartphones are capable of mobile email, downloading and installing apps, WiFi, Bluetooth, capturing images, recording videos, etc. It also comes in a wide variety of models. For these and more reasons that are yet to be mentioned, Blackberry is deemed to be among the best mobile phone company today. For being a reputable mobile phone brand, their mobile phone and smart phone units may come a bit pricey compared to other brands. For this reason, they are usually availed by mobile users who are financially well-off. Accordingly, these are acquired through mobile phone plans that ties up the subscriber to lengthy contracts with expensive monthly rates. However, for those who have budget issues but want or need a mobile phone as functional as a Blackberry device, there is a way to do so. This is by getting a SIM only plan that will be used with a Blackberry device. With this arrangement, the mobile phone user will only have to worry about spending for a pretty expensive but functional mobile phone. Afterwards, he can make up for that expenditure by choosing a practical mobile phone service with SIM only plans. However, there are a couple of things to be enlightened about when getting SIM only plans for a Blackberry device. Getting this type of mobile phone service is not as simple with other mobile phone brands. Blackberry has its own platform for messaging, email and internet. This is why most mobile phone plans carriers have dedicated plans which include the Blackberry Internet Service or BIS. These plans allow the users to use the Blackberry messaging, email and internet freely. But for Blackberry device owners who are eyeing SIM only plans, they won’t have to worry about not taking advantage of these Blackberry services. Several carriers these days have SIM only plans for Blackberry mobile phones. And these carriers are the top-notch in the mobile phone service industry. With these SIM only plans for Blackberry devices, owners get a lot of benefits. They can choose among the wide variety of unlocked Blackberry models. With mobile phone plans subscribers will be made to choose among a few Blackberry units that the provider can offer. And if the Blackberry SIM only plan user already has a Blackberry device, they can keep it for a longer period of time and not be forced to get another Blackberry device that would’ve come with the plan. Users also get a wide variety of choices in Blackberry SIM only plans. Lengths of contract come in ranges of 30 days to 12 months. Different plans also have different allowable call, text and internet usage. 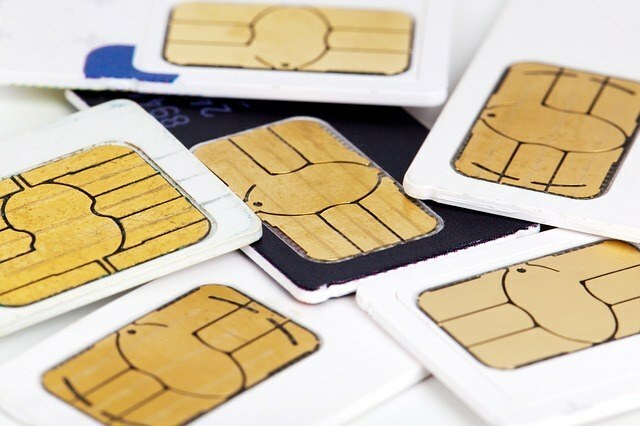 SIM only deals have certainly improved these days by being capable of giving more options. Another great thing with SIM only deals, especially for Blackberry device owners is the availability of Blackberry SIM only deals from leading providers. Upon deciding to get this type of SIM, consumers can compare deals and choose which of these will suit them best.